We are probiotic junkies in this house. We have been incorporating more and more probiotics into our diet each day through beverages, snacks, dinner, and even dessert. The Nourishing Traditions Cookbook is a great resource for understanding the link between gut health and diet. It is important to consume good bacteria to fight off all the bad bacteria we encounter each day. We want our “gut” (or immune system) healthy, ready to fight off bad bacteria. 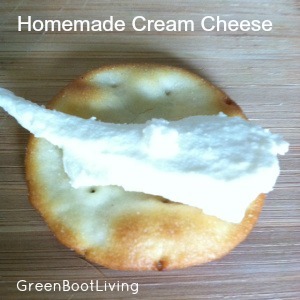 Homemade cream cheese is loaded with beneficial bacteria. 1. Put the cloth over the top part of the pitcher. Let the cloth hang down about 6-8 inches inside the pitcher. Place rubber band firmly around the cloth and pitcher (at the brim of the pitcher). 2. Pour the yogurt into the pouch firmly secured by the rubber band. 3. I cover the yogurt w/ the excess cloth material. Closed on the top. 4. 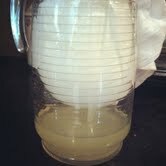 The whey will begin to drip out of the raw yogurt into the bottom of the pitcher. 5. Place this somewhere safe for 6-24 hours. 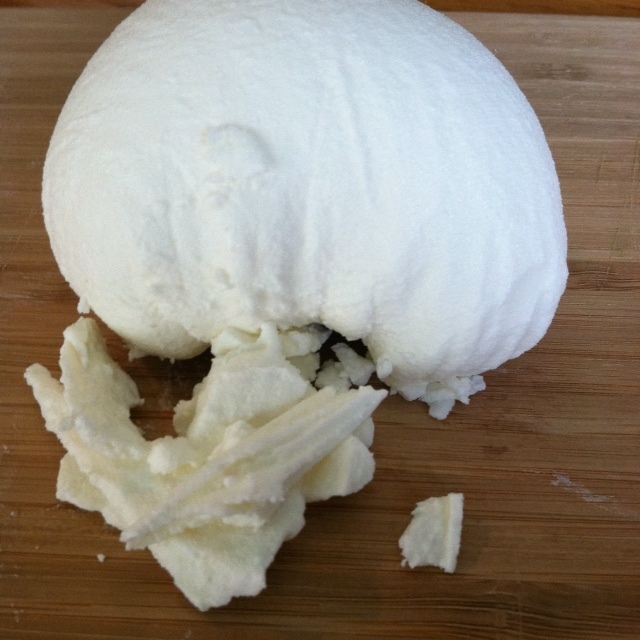 The separation of the whey from the raw yogurt is what results in yummy cream cheese. 6. A nicely shaped ball of cream cheese packed w/ probiotics. 7. Save the whey and make a homemade rehydration beverage. 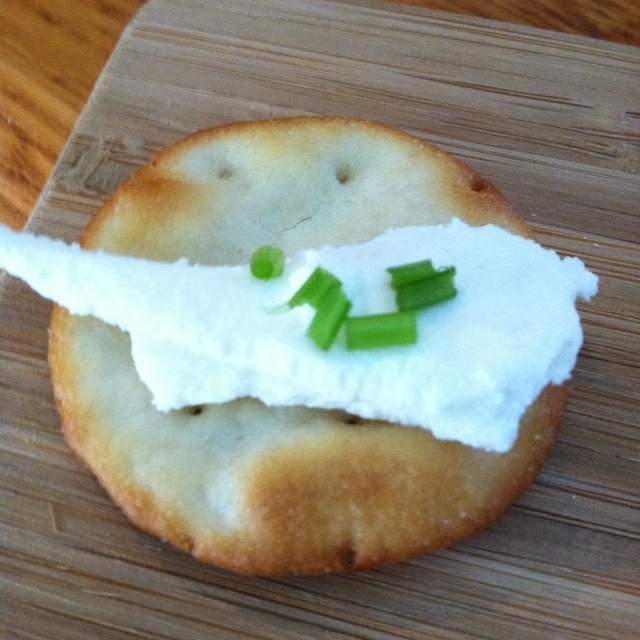 My boys love plain cream cheese on pita chips. Add a little cilantro and it tastes great. You can also mix in your favorite herbs. I like adding garlic powder, sea salt, thyme, or chives. It becomes a great spread. I make this when I make my homemade raw yogurt and I LOVE it. Sometimes I only strain it for a few hours so that it isn’t as thick, and I eat it plain with some honey. So true. You don’t need to strain it too long. I will try it w/ honey. Sounds great.